Kawai’s skillful blending of traditional piano craftsmanship with state-of-the-art technology and materials has brought about the finest selection of award winning pianos available today. Around the globe, the world’s finest pianists are making Kawai Grands and Uprights the new piano of choice for competition, concerts and as their private musical masterpiece. For over 90 years, Kawai has been the architect of the modern piano boldly pioneering the use of state-of-the-art materials and technology to advance the piano art form. This is the Kawai difference that you will hear and feel for years to come. Not the result of mere assembly, every element of a Kawai upright piano is crafted with meticulous skill and care. The result embodies the passionate quest for excellence that has characterized three generations of Kawai family leadership. Love the sound of a piano, but don’t have time to practice? 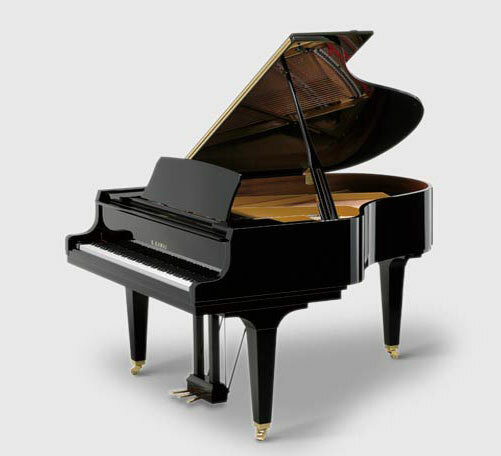 We offer player piano units by PianoDisc and QRS that can be installed on your grand piano.